Today’s vehicles come with more entertainment options than ever. Gone are the days of AM/FM stereo and staring at the scenery, while you or your passengers wonder, “Are we there yet?” Whether you’re looking for a car, minivan, SUV, or truck, you can find the right entertainment technology for your needs. While AM/FM/CD/MP3 Decoder is mostly standard, most vehicles today also come with a Bluetooth to integrate streaming from your phone, books, or more via auxiliary input or USB port. Satellite radio is a widely available option with various tiered subscription plans. Interested in streaming music? Many vehicles now offer that option with such services as Apple CarPlay, Pandora, Spotify, and more! When every mile of road starts to look the same, you might be glad to have a DVD player to entertain backseat passengers on long trips! There are various options, ranging from a central screen everyone can see to seat-back screens that offer individualized entertainment and some work on DVD or even let you play movies or music from a thumb drive. Looking for something more interactive? In-car gaming is another way to keep passengers from being bored! Handheld consoles are easy to carry along and charge on the road, so keep an eye out for vehicle that offers plenty of accessible 12-volt power ports. You might choose to install a router or modem in your car, which involves the cost of additional equipment. However, the most convenient way to add WiFi to your vehicle is to purchase one with it already available as an option. Many makes today offer internet access with a monthly or yearly subscription, and the hardware already onboard. From compact car to full-sized SUV, there is a wide range of vehicles that feature WiFi. So get ready to take make your drive a little more fun with today’s innovative entertainment options! Today’s cars and trucks offer more technology than ever before, including integration with smartphones, tablets, watches, and more to make your drive more convenient and safer. 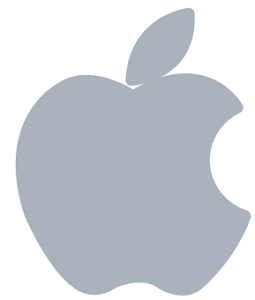 Whether you’re an Android or Apple user, you can find the right options for you. Availability depends upon the vehicle’s technology and we encourage to check out the various makes and models available. Most devices are compatible with Bluetooth, a wireless technology that allows you to operate your phone hands-free. Some automobile makes and models even read texts aloud and allow you to do speech-to-text without removing your hands from the wheel. When available, voice-activated technology helps you keep your focus where it belongs: on the road. If being able to make phone calls, send and receive texts easily is important to you, this is an option you will find in many vehicles. Many vehicles integrate the microphone into your rearview mirror and/or call buttons on the steering wheel, which means you can keep your head up, eyes on the road, and hands on the wheel. 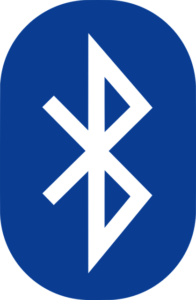 Bluetooth has become standard on most cars and trucks, but compatibility varies. We suggest you bring your phone and test it with a vehicle’s system as part of your test drive. Some cars and trucks now offer WiFi connectivity plans. The price for this service varies, as does the technology that allows it. 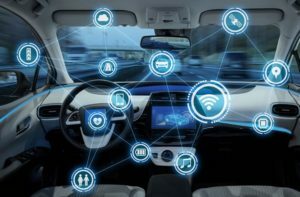 Vehicles might include either a wireless router to create a mobile WiFi hotspot, 3H, 4G LTE WiFi (requires a subscription to a cellular network), or WiFi using in-car telematics. Each automaker offers different services, and if you let us know what you need, we can make sure you get it! This connectivity might be especially important if you travel often and always need internet access or travel with kids that depend on connectivity. You can enjoy music integration with your smartphone and Bluetooth through streaming services such as Pandora and Spotify while you’re on the road. If you like to customize your music and playlists, this is a great option to look for in your next vehicle. It works with Amazon Music and more. Emergency communications send automatic calls to emergency services in the event of an accident. This technology offers another layer of safety so you can focus on what matters while you’re on the road. With the vast array of options, it can be difficult to know which automobiles offer which conveniences and safety features. 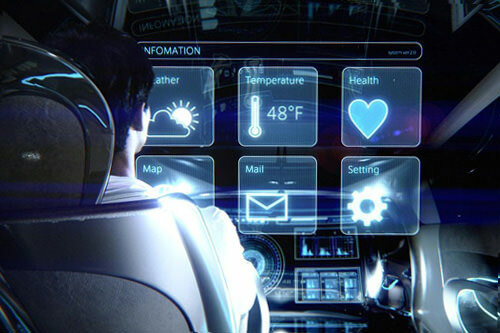 We can help you find a car or truck with the technology you want. 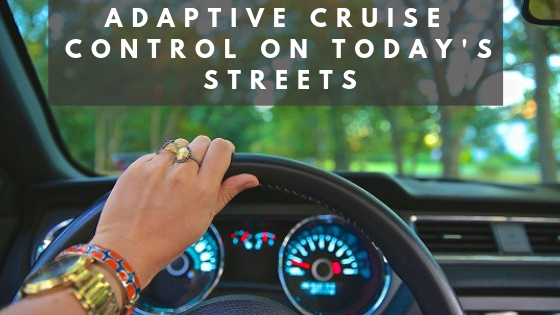 As our vehicles become more intelligent, one feature you might want to learn more about is Adaptive Cruise Control. When activated, this technology automatically slows down or speeds up to keep your speed set where you want it. This also keeps pace with the car in front of you so if they slow down, you slow down. You can choose your following distance usually based on car lengths. Once set, adaptive cruise control provides limited braking or full control braking to maintain the set distance. If the car in front of you slows down or stops, so will yours. Each vehicle offers different braking capabilities, so be sure to check your owner’s manual to find out what yours can do. Some slow you to 10mph and then alert you that the rest of the braking is your job. Others take you to zero and wait for your command to start again. Others slow down and preload the brake pedal for an emergency stop. Depending on your vehicle, various sensors from radar or cameras read the road ahead of you and respond to the cars in your lane. Some vehicles read the road signs and warn you when it’s a No Passing zone car the Speed Limit changes. As with standard cruise control, you need to accelerate to your chosen speed and turn on the adaptive cruise control. Set how close you want your distance to the vehicle in front of you to be, and go! Each vehicle has a different way of setting the gap between vehicles, either by distance or seconds. Even with advanced technology, it’s still important to be aware of the traffic and changing road conditions around you. Both standard and adaptive cruise control are best used in ideal weather conditions, not during rain, ice, or snow. You may also need to keep the sensors clean. Adaptive cruise control might not work in tunnels or stop working if snow covers the sensors. Take time to get to know how your car’s cruise control works, so you can get the most out of it. These features enhance your experience and are always under the control of the driver. Once experienced, most drivers set this technology as a benchmark that they are not willing to live without. See our amazing selection of vehicles that have this innovative feature. Wanting to improve the quality of your vehicle without spending a bunch of money? We have many things in mind! There are a number of gadgets on the market today that will help improve your overall driving experience. Continue reading to learn what they are! Before you can drive anywhere, you’ll need to find your car keys. Keeping a Tile Mate Bluetooth tracker on your keychain can help ensure you always know where your car keys are located. 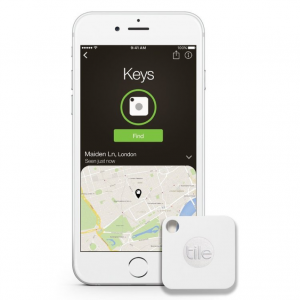 You simply attach the Tile to your keychain, and whenever you can’t find your keys, you can use the Tile app to make your keys ring. The app also tracks the last place it paired with your smartphone, so if you leave your keys somewhere outside your home, you’ll be able to see where you left them. You can purchase the Tile tracker on Amazon for $20.25. A smartphone mount can make navigation a lot less stressful. Instead of constantly looking down at your phone for directions, you can use a mount to keep your Google Maps or Apple Maps app within your line of vision. 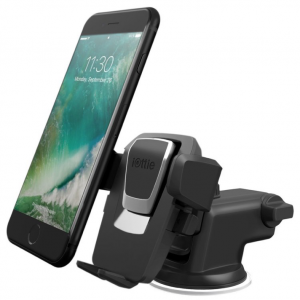 The iOttie smartphone holder is the best-selling mount on Amazon and costs $24.95. 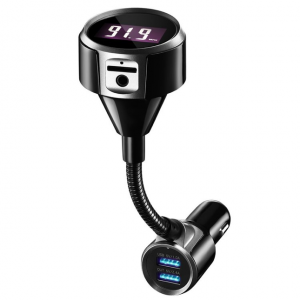 You don’t have to buy a new car to be able to connect your smartphone to your vehicle via Bluetooth. Mpow’s Bluetooth car kit plugs into your car so that you can play music and make calls over your car’s speakers hands-free. You can purchase the gadget for $20.99 on Amazon. A dead smartphone is the last thing you want while traveling. 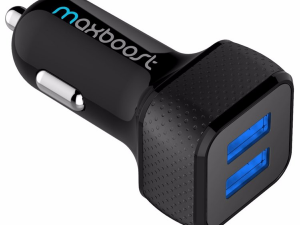 If you don’t have a USB port in your car, or if you need more than one port, this Maxboost USB charger is a good option. You can buy the Maxboost USB charger for $8.99 on Amazon. These are all cheap devices that will help improve the quality of your ride! Have any other devices you love? Drop what they are in the comments below!